The artisans of Disenio de Craftico are fathers, mothers, young men and women who are able to help their families through the production of these crafts. They live near Lagazpi City in the Bicol region of the Philippines. 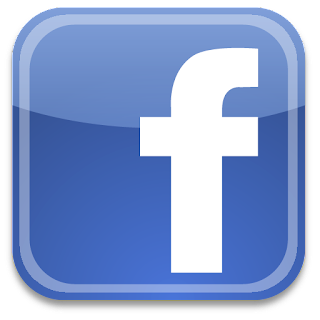 Most are hand-to-mouth workers. Using abaca fibre, nito vine and other sustainable materials, they create beautiful native handcrafts which are sold to create a livelihood for their day-to-day needs, lessen the poverty in their community and strengthen family ties. 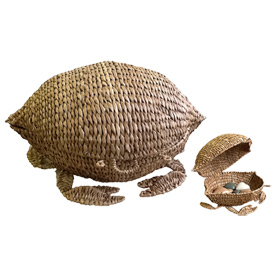 This Large Crab, with attached lid, is handwoven from a sea grass commonly known as Broad leaf Cattail (sp. 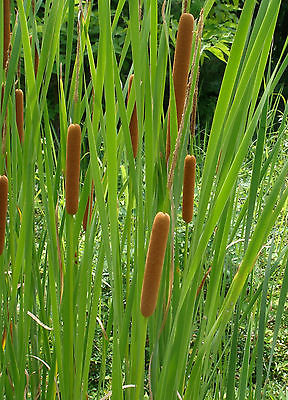 Typha Angustifolia). It not only is an attractive decoration for the home and conversation piece, but is functional for storing fruit, can be used as a magazine basket, and many other uses. It can even make a comfortable bed for your kitty cat. This basket would be perfect for anyone with an ocean theme. Broadleaf Cattail (sp. Typha Angustafolia) is a seagrass that is prevalent in the coastal waterways of the Philippines. The plant's leaves are flat, very narrow (¼"-½" wide), and 3'-6' tall when mature; 12-16 leaves arise from each vegetative shoot. At maturity, they have distinctive stalks that are about as tall as the leaves; the stalks are topped with brown, fluffy, sausage-shaped flowering heads. 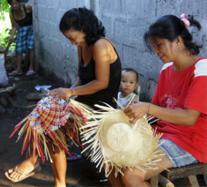 It has many uses; artisans use the leaves to weave baskets of various styles, and sizes. Also medicinal oils can be extracted from the pollen grains produced by Typha Angustafolia are also used to as an ant-inflammatory agent and to treat conditions such as inflammation, treatment of kidney stones, internal bleeding of almost any kind, painful menstruation, abnormal uterine bleeding, abscesses, and cancer of the lymphatic system.